Welcome to Scottsdale – The New Vegas! Don’t get me wrong, I love Las Vegas. In fact, I even hope to own a condo there someday. But why does Scottsdale have to become the next Las Vegas? I totally understand periodically having to update, change, or even remove old buildings and businesses; but that’s usually due to financial ruin of the business involved. In the case of my beloved Camelview, even a large theater company such as Harkins is being pushed around by some wealthy developers. Camelview is making money. Camelview is one of the only Indie theaters in the area. Camelview is architecturally unique. Unfortunately, nobody who is involved or has any true power cares. 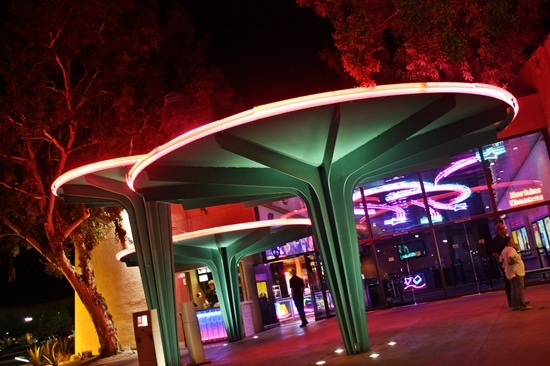 It will most likely be shut down, demolished, and replaced with a spanking new prototype theater. I get that this sometimes needs to happen. I get that this occurs in even the quaintest of towns. But when it comes to Scottsdale, this is happening (more recently) almost all the time with nobody having enough weight to stand up and stop it. It will be sad when it happens and the replacement theater will most likely turn into a Cineplex. With no indie flicks and no unique building, as least they could provide us some entertainment with a huge implosion. Welcome to ScottsVegas!